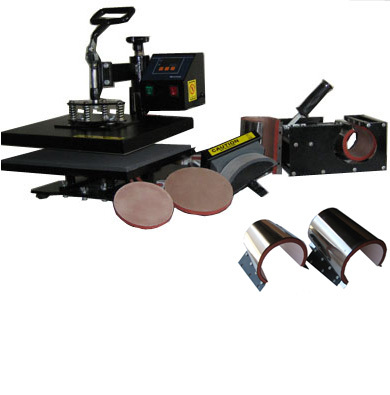 8 in 1 Mug Plate Cap Flat Sublimation Heat Press Free Shipping [MHP8020] - $359.99 : SeikiTech.com!, Leading Provider of Signs Equipments and Supplies. 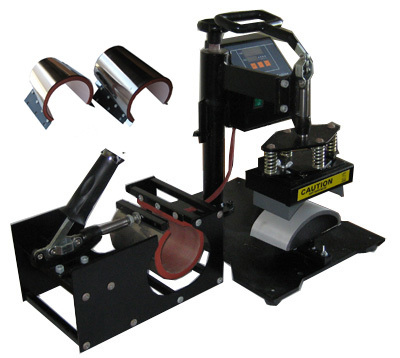 The Digital Combo multifuntion swing-away heat press is ideal for heat applying such items as t-shirts, jackets, mousepads, plates, cap hats, mugs, water bottles more. It is heavy duty for commercial daily using. 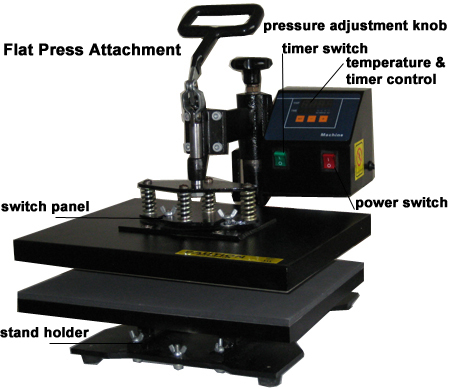 11.5” deep x 15” wide(Actual size: 290mm x 380mm) flat heat press attachment. 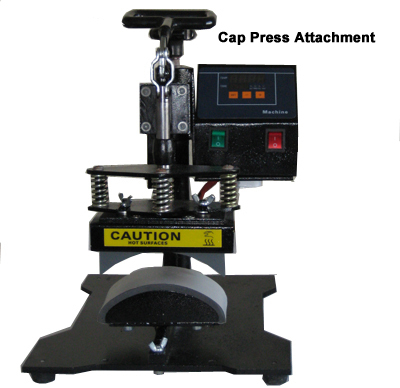 5” Plate heat press attachment. 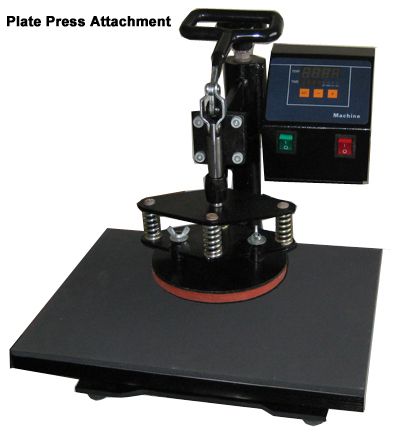 6” Plate heat Press Attachment. Digital temperature controller(Thermostat). Readout accuracy ±1F. Pressure Adjustment, adjustable height for items up to 1" thick. Warranty: 12 Months Manufactory Warranty. For most minor repairs, we will send you the replacement parts if possible to minimize shipping cost. The press is inspected to work before shipping. Condition: Brand New, Individual Wrapped with molded foam package. Free Shipping(Lower 48 States) by Fedex. $180 Shipping to AK, HI, Puerto Rico and Canada. Additional ship to locations - buyers contact us for costs.